No other FM processor, at any price, has both a BW Broadcast six-band look-ahead limiter and an integrated Ariane RMS leveller. The DSPXtra-FM gives you a competitive edge-and builds listenership and revenue-by enabling you to achieve the tailored sound and loudness needed to make your station distinctive. When you don't want to pay the high price of many traditional FM processors, yet can't afford anything less than the best for your FM and digital broadcast services, the DSPXtra-FM is your best choice. The DSPXtra-FM harnesses 22 DSPs to keep your station's sound consistently loud and artefact free. In addition to multi-band limiting and the Ariane leveller, the processing core includes parametric and shelf bass enhancement, along with composite clipping with pilot protection. Dual processing paths make the DSPXtra-FM effectively two processors in one, feeding both your analogue transmitter and a digital service, such as HD Radio, DAB, DRM or an Internet stream. The FM analogue path has a multi-band distortion-controlled clipper, while the second path, tapped via analogue and AES/EBU digital output connectors, incorporates a bit rate optimized, look-ahead limiter. BW Broadcast's proven presets, as well as intuitive local and remote interfaces help you get your DSPXtra-FM on air fast. Whether you are a processing novice or expert, you'll easily achieve a signature sound for your station's format. And as you have come to expect from BW Broadcast, the compact DSPXtra-FM is designed for unsurpassed reliability and trouble-free operation in the world's most challenging installations. Front panel LED audio metering and front panel USB interface aid setup and operation. 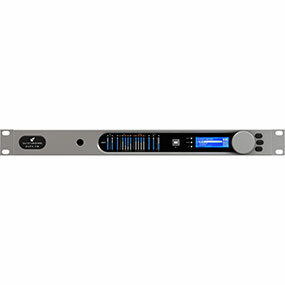 As with all BW Broadcast FM processors, the DSPXtra-FM has BW Broadcast's world-class stereo encoder, a real-time clock for preset scheduling, preset A/B switching, graphic LCD display, plus serial and TCP/IP remote control interfaces, and both analogue and AES/EBU digital inputs with configurable silence switching. The BW Broadcast DSPX Series presents a carefully developed series of processors, with a version designed to exactly meet your needs and budget. For stations with less intensive processing requirements or tighter budgets, look no further than the DSPX-FM and DSPXmini-FM. Custom processing at off-the-shelf prices, the DSPX Series offers exceptional value in listener-building processing power. Delivering a signature sound for your station, making you stand out on the dial - loud and clear. Process independent FM and HD streams simultaneously, so you can feed your transmitter and web stream from one box. This will breath new life into the already impressive processing chain. Tweak your processing in any location - for example whilst listening with a car radio over Wi-Fi!